Music collector connect is an online database application wherein one can create their own music collection and store them in the virtual space. Thus, this online web application helps you own a E-catalog which is easy to manage and share with all your friends and family. The application is custom made for all hobbyist and people who are active in the world of social networking. The developers of the application have also developed a standalone database application for both windows and Mac OS targeting professionals. Populating your collection is too easy as it allows one to add albums by synchronizing with music collector collector database and also manually. Populating collection can be done even with barcode details. 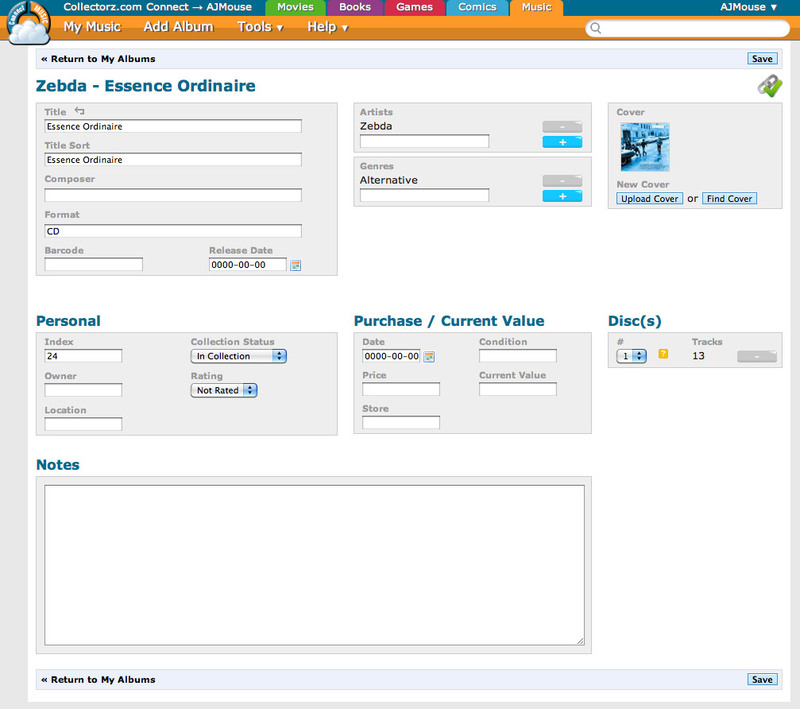 One can import album attributes directly while importing album from the collector database/barcode. Additional attributes can also be added/edited manually. 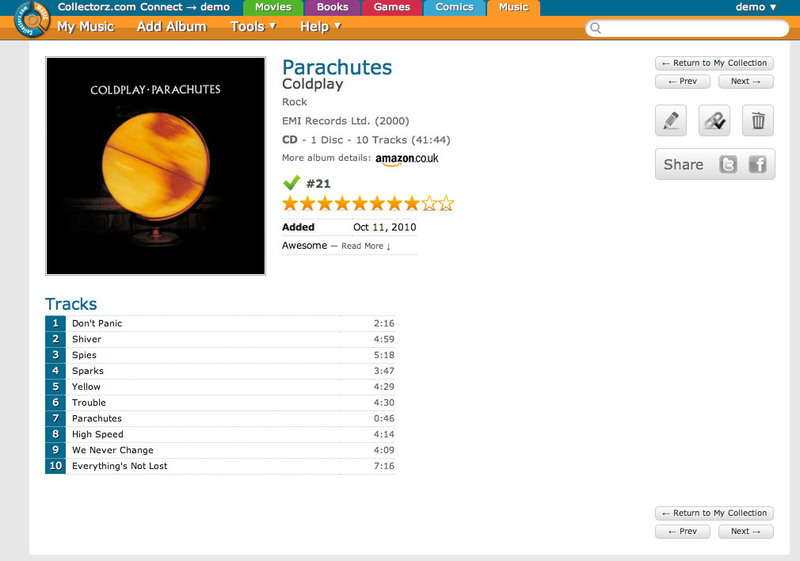 Front cover can be imported or can be can be customized for your favorite albums makes the application really cool. (a) Portability: The application is available to view the collection from all the computers connected online and also from your mobile phone. Thus, this is your own mobile catalog view from anywhere. (b) Sharing and connectivity: The application allows the account holder to connect to their Facebook and Twitter accounts so as to send real time updates with links details to all your friends and family, connected through your social networking accounts. (c) The statistics feature of the application is the most interesting feature which could create buzz in your friends circle as it reveals your taste more clearly. Even if you are not one, who is not socially active, but wants to have your own database then, the application has some interesting features which require only basic knowledge about internet to make full use of it. (a) Easy database management: The application allows the account user to use the attributes like artist, type, genre to index the database easily. This enables even large databases searched faster and easier. Inbuilt filter setting like alphabetical order index bar, genre category, artist category, and format category helps searching easier. The searching is made fuzzier as few letters are good enough to display all the albums matches closer to the search letters. 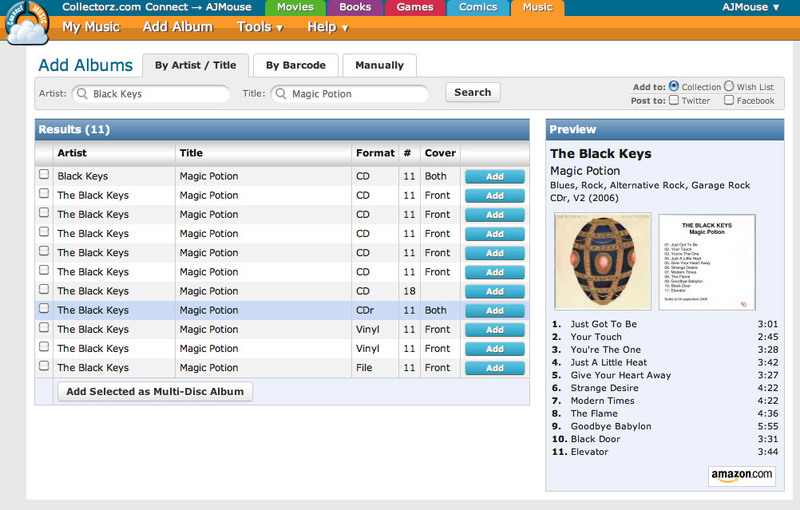 (b) Ability to add custom made attributes like wish list, purchase details and notes on the albums makes cataloging more fun. The application has every element that can infuse fun in sharing. However, the statistics feature can be extended with more parameters/attributes may make sharing much more interesting. Overall the application is great for fun.